I'm back from my all too brief sojourn to Cape Town, Johannesburg and Durban. Along the way I uncovered some great music that will be winding its way to you via download or later next year as a "traditional" issue. With Chris my partner in crime - or rather dust and grime - we raided Sgt. Katapuwa's vault and retrieved many vinyl gems that will be available for sale in due course via this site and/or via eBay. But in the meantime here's an LP that my friend Cheeku has been wanting to hear for many moons. I picked this up on my travels to Berlin last year and its one of those rare discs that you never really come across in the racks anymore. 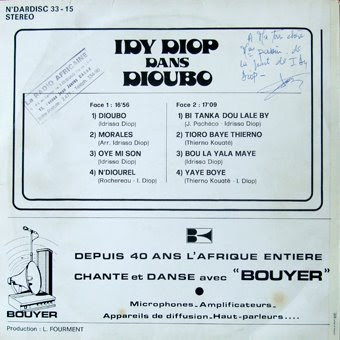 It was issued by Ndardisc who put out many of the Orchestra Baobab LPs in France. 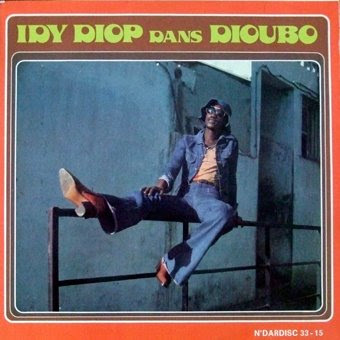 Idy Diop first sang with the Star Band in Dakar alongside Youssou Ndour. This LP includes a nice version of the standard Yaye Boy, made famous by Africando. Lovely upload Matt, very interesting, and of course looking forward to whatever gems you have to share. Sounds promising..! Wow, what a lovely album! Thank you so much for sharing this! Thank you so much for giving us a chance to hear such wondeful music. Very much appreciated. Respect. you can hear me sing.go to www.epohcj.com.ng.Click STORE...scroll down and find Ofege......It's only one dollar. They were years that I tried this cd! Made work a much nicer place to be today! Very nice, thank you. Reminds me a little of Baobab's Pirate's choice...or maybe that's just the mellow Cuban feel.